Choosing healthy food is important for your physical and mental health. Improve your mood naturally with more nutritious food choices. Food choices affect your mood, ability to concentrate and energy level. There has been more research to show how food does affect your mental health. The psychological relationship between people and food is significant. For example, when people have tea or coffee, they may also socialize with friends, which may result in positive feelings. Such interactions are important to account for when considering how mood and food are connected. · Exercise: The healing effect of exercise on the mind is truly astonishing. Regular exercise can reduce stress, increase self-esteem and improve your mood. Exercise for 30 minutes three to five days a week to significantly decrease symptoms of depression. Drink more water: Drinking more water can mollify several health maladies and depression is no exception. Dehydration has been linked to anger, fatigue and confusion. Cut your body weight in half; that is how many ounces of water you should drink each day. (Example: Someone who is 200 pounds should drink 100 ounces of water a day.) Not only will this help your mind feel balanced, it will do wonders for your physical health. Regular meals: Missing meals, especially breakfast, leads to low blood sugar and this causes low mood, irritability and fatigue. If you feel hungry between meals you may need to include a healthy snack eg. fruit, nuts and cereals. 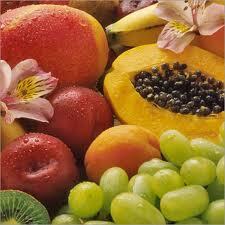 · Refined foods: East fewer high sugar foods and more wholegrain cereals, nuts, beans, lentils, fruit and vegetables. Sugary foods are absorbed quickly into the bloodstream. This may cause an initial ‘high’ or surge of energy that soon wears off as the body increases its insulin production, leaving you feeling tired and low. Wholegrain cereals, pulses, fruit and vegetables are more filling and, because the sugar in these food is absorbed more slowly, don’t cause mood swings. · Protein in your diet: Include protein at every meal to ensure a continuous supply of the amino acid tryptophan to the brain. You can ensure your brain gets a regular supply of tryptophan by including at least one good sized portion of protein at each meal ie. meat, fish, eggs, milk, cheese, nuts, beans, lentils (dhal), or a meat substitute such as textured vegetable protein or mycoprotein. · Weight: Both excessive weight loss or weight gain can make your mood worse and should be avoided. Weight loss and lack of good nutrition will deprive the brain of glucose and the other nutrients that control mood. · Healthy Fats: Unsaturated fats provide the fatty acids essential for brain function, a healthy heart, a strong immune system, and supple skin. Good sources of unsaturated fats include fish, nuts, olives, olive and corn oils, and avocados. An average adult should consume 5 to 7 teaspoons of unsaturated fats per day. · Good sleep: Your mind and body will feel better if you sleep well. Your body needs time every day to rest and heal. For adults, 7-9 hours of sleep is essential in a day. If your sleep is frequently interrupted or cut short, you’re not getting quality sleep which might disturb your mental well being. · Reduce caffeine: If you’re a coffee junkie, you may not realize the effects caffeine has on your body system. However, you can reduce your stress levels and improve your mental performance throughout the day if you gradually wean yourself off of large amounts of caffeine.